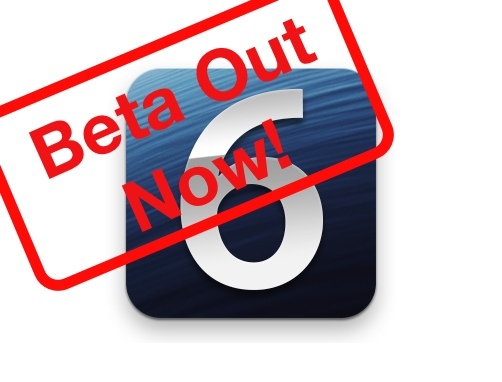 With only a few days before Apple iOS 6.1 Beta 4 expires, Apple have released iOS 6.1 Beta 5, bringing an end to the longest wait between iOS Beta versions there has been. Interestingly, instead of the easy, fast, and convient way of OTA updates, iOS 6.1 Beta 5 didn’t show up in the OTA upgrade section, leaving the only option to head to Apple’s developer portal and download the whole thing. Those who have dug around the firmware have said it shares many of the characteristics that a GM (Gold Master) version does, which is the final version released to developers before it goes public. So it remains to be seen if the wait since Beta 4 was to bring iOS 6.1 to a stage of GM suitability, or Beta 5 was GM but a new feature was added at the last minute. Which brings us onto the next question. Could this feature be adding 128GB support? According to this tweet, it appears iOS 6.1 Beta 5 adds support for 128GB iOS Devices. Apple has, up until now, only offered 64GB of storage has the higher end storage option with previous iPhones, and in fact all iOS devices. But with the price of solid state memory rapidly declining, it seems to have become cost effective for Apple to bump the higher end storage up to 128GB. Despite everything seemingly heading towards cloud storage, there is still a surprising amount of demand for locally storing content, especially when it comes to media. For example, I don’t always have an internet or mobile data connection where I am, and even when I do the data limits imposed make streaming very expensive. So I like to keep some of my music (as the rest is stored in Google Music) on my device. Add this to pictures and the few movies plus apps and that’s 32GB gone easily. Consequently, it can be assumed that 128GB is the logical next step for Apple, and the delay in iOS 6.1 Beta 5 could have well been a decision whether or not to even build a 128GB and therefore add support for it. Head on over to Apple’s developer portal to grab iOS 6.1 Beta 5 now, and let us know if you notice anything else different.